← Medusa – A Love Story Book Birthday! There are so many empty bottles of wine on my desk, that the cat now refuses to come up and sleep in his box. The wine bottles scare him when they fall, and the last time it happened he glared at me and went off in a huff. As I looked at the bottles, however, I realized there were a couple that I either didn’t like or I couldn’t remember how they tasted, and my notebook had gone missing. So…those got tossed. No big loss; one was a Concannon Petite Syrah that I wasn’t that impressed with, and the other I couldn’t remember but was a new label called Handcraft – a Pinot Noir, both from 2010. I will get back to the Handcraft because I don’t have bad memories of it, and because it’s still a new wine to me. So on to the wines that are left! My Take: A lovely wine, at a lovely price. It definitely meets/beats the Smoking Loon test (is this better than a $5.99 bottle of Smoking Loon Pinot Noir?) and was a treat. We had this with a lovely home made red pasta sauce with ground pork, pureed tomatos and fresh zucchini, onions, carrots and mushrooms sauteed with the pork. That and a raft of garlic bread made a fantastic meal. My Rating: ~ Very, Very Drinkable ~ Especially for the price! Bottled by Central Coast Wine Warehouse – I could not find the alcohol content on the label. $6.99 (?) at Trader Joe’s. My Take: This was an interesting wine. It tasted smooth, went down very well, I had no problems with it at all. But surprisingly, neither have I gone out of my way to pick up another bottle, even when I’ve been to Trader Joe’s – and usually I’ll do so if I like it. Not sure what that says about the wine, lol. 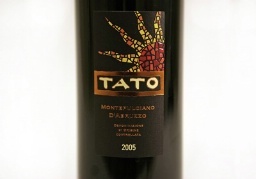 Tato Montepulciano D’Abruzzo 2009 Denominazione di Origine Controllata Alcohol 13.5% by Volume $6.99 at Trader Joe’s. My Take: Italian wines are, to me, luscious. When I was in Italy in 2004, I couldn’t get a bad glass of red wine, and I always asked for the house wine. Every restaurant seemed to have its own supplier; and while each glass tasted different, the wine inevitably was wonderful. This wine is, I’m happy to say, no exception. It needed airing; but it was a lovely, full-bodied, rich red wine that went perfectly with hamburgers topped with blue cheese, and lovely roasted smashed potatoes. 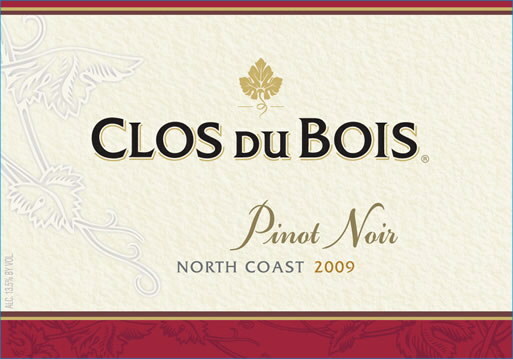 My Rating: ~ Very Drinkable ~ and at a great price! Plus the label is really cool. As usual, this is just my honest opinion – which will depend upon my mood, the weather, and what cycle the moon is in. Your taste buds will differ. Demon Soul is available now. BLOOD DREAMS, a Caine Brothers Short Story, will be available on June 1st. Demon Hunt coming Summer, 2012! This entry was posted in Wine Friday and tagged Blood Dreams, cats, Clos du Bois, Concannon Vineyards, Crescent Moon Press, Cut the Fluff, Demon Hunt, demon soul, Pinot Noir, Tato, Wine Friday, writing. Bookmark the permalink. Roben, that’s why I first bought the Tato! But it turned out to be a pretty good bottle of wine, too. A bonus! Snort and I love the Cut the Fluff white table wine. I am not a white wine drinker at all, but this one is nice, crisp and very drinkable. Probably because I don’t drink many whites or like the ones that I taste, this one stands out for me. Funny how that works, huh? Plus, they were on sale at Trader Joe’s last week for $4.99 so I stocked up on a couple of bottles for the summer. Love coming here to get my wine education – without the hangover! *Note: There is no general committee that bestows this award. It’s just a recognition from one blogger to another for how awesome they are. Kinda like a really big Internet hug! Congrats!